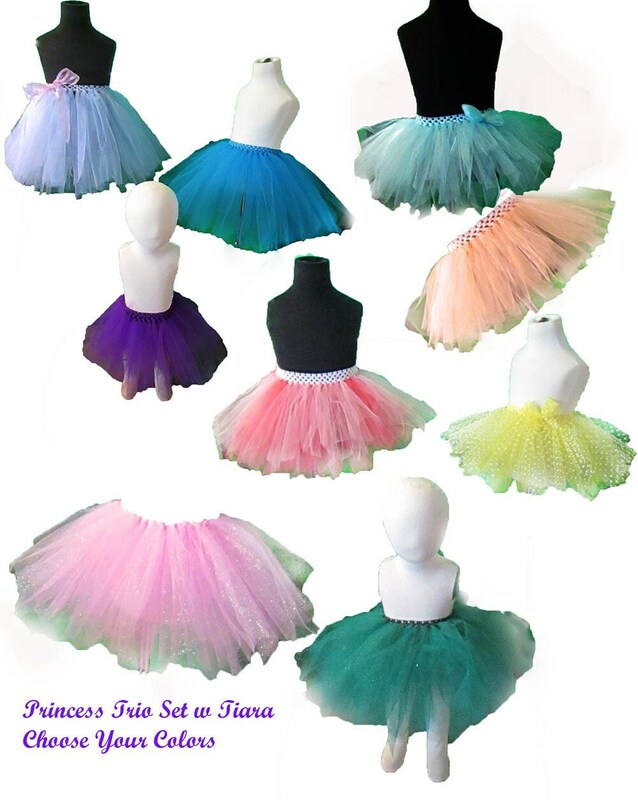 For Your Princess Trio Tutus w Tiara and Wand Dress Up Time Ready Gift! 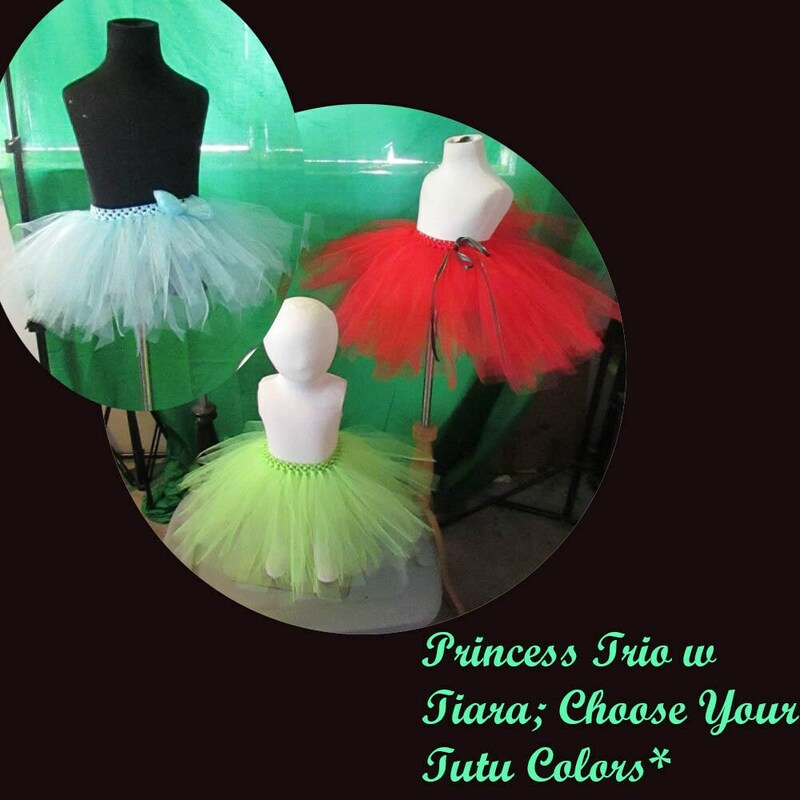 Three tutus and tiara for your princess that will surely bring a smile to your dress up darling! 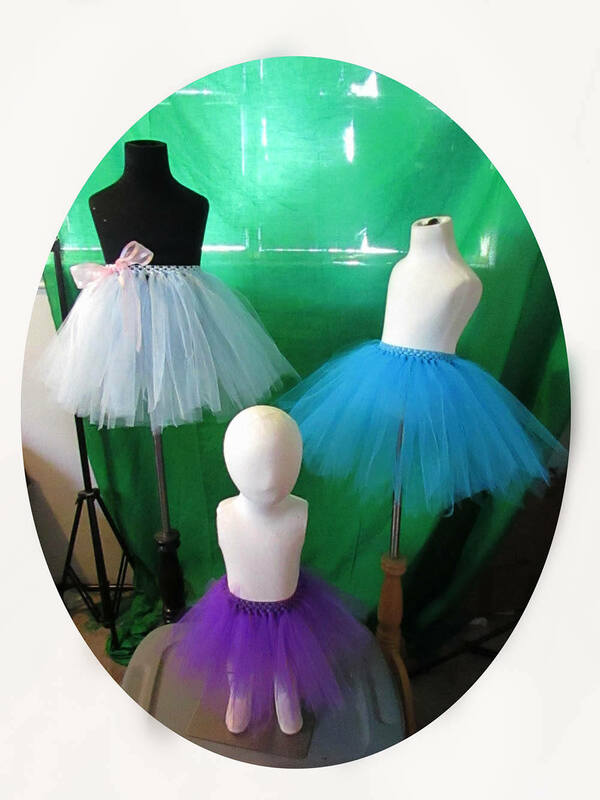 Each order will offer three two layer tutus and a tiara! 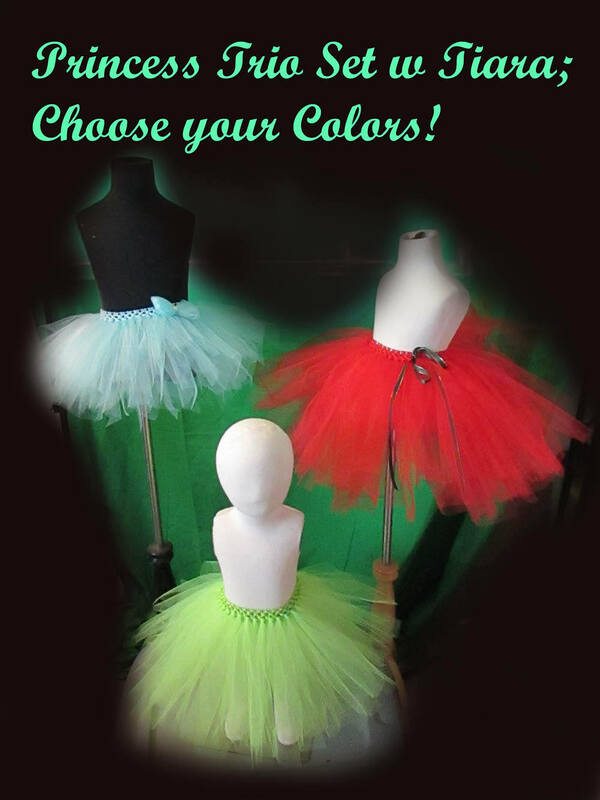 Simply message us with your three color choices* age and or measurements and we will start creating ASAP! 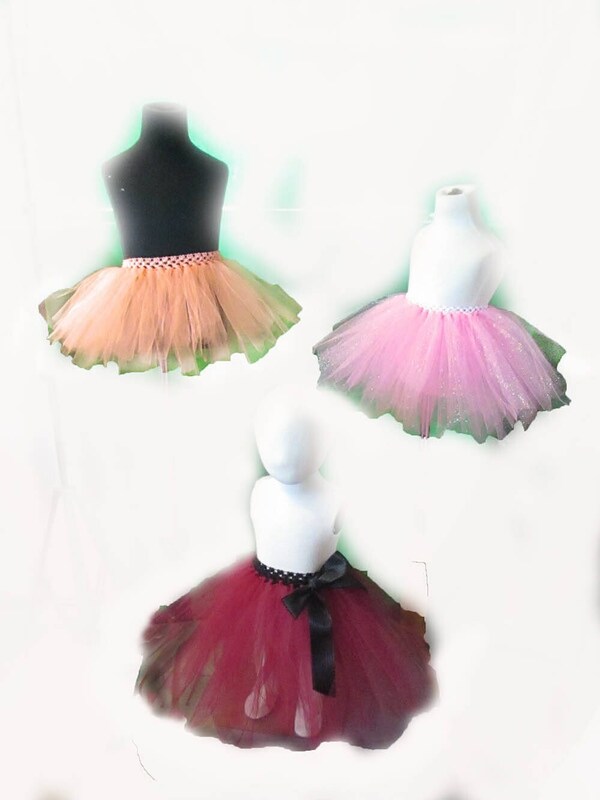 You are also welcome to upgrade to our deluxe package that includes two premium two layer tutu skirts and one two layer tutu skirt with specialty tulle, from stripes, to polka dots to glitter and more offerings available! 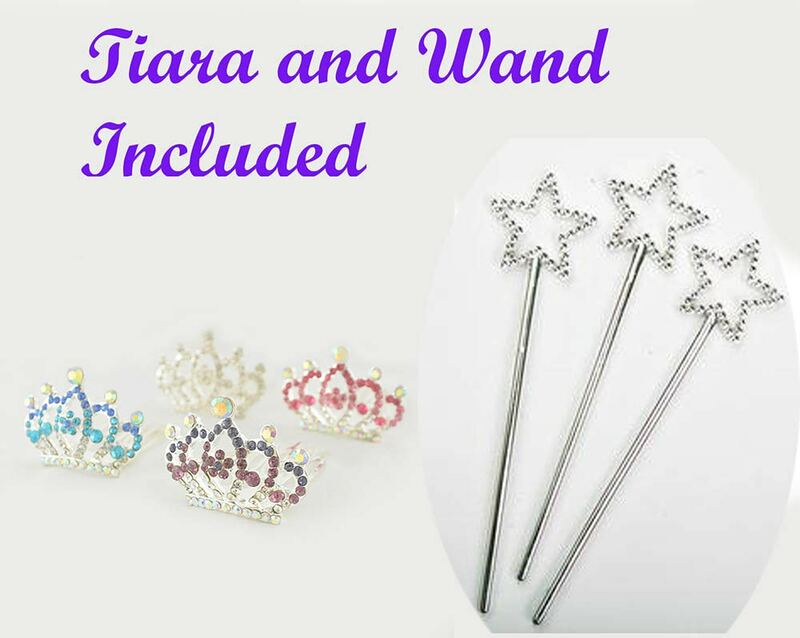 If we do not hear from you within 48 hours colors will be chosen at our discretion, buyer accepts this upon payment completion. 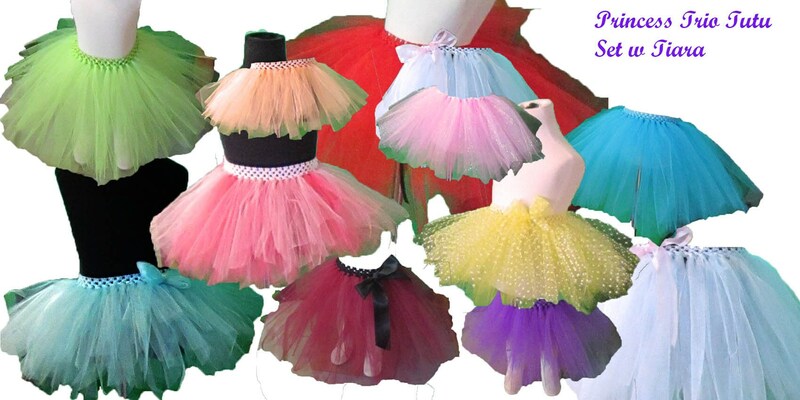 We want to start processing/creating your tutus in a timely manner so you may receive your package promptly. 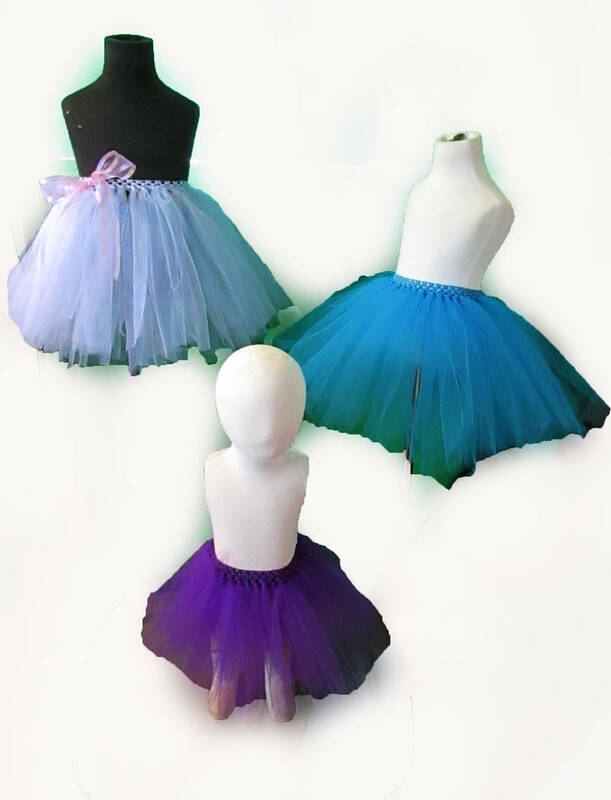 Processing time (before shipping): 5 days; Need it rushed? 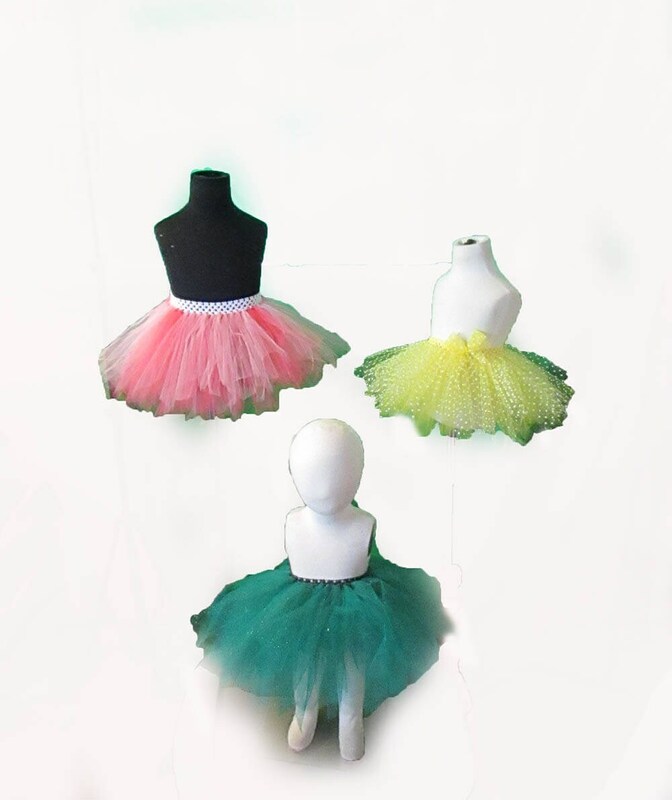 Send us a quick message and we will do what we can to accomodate your needs! 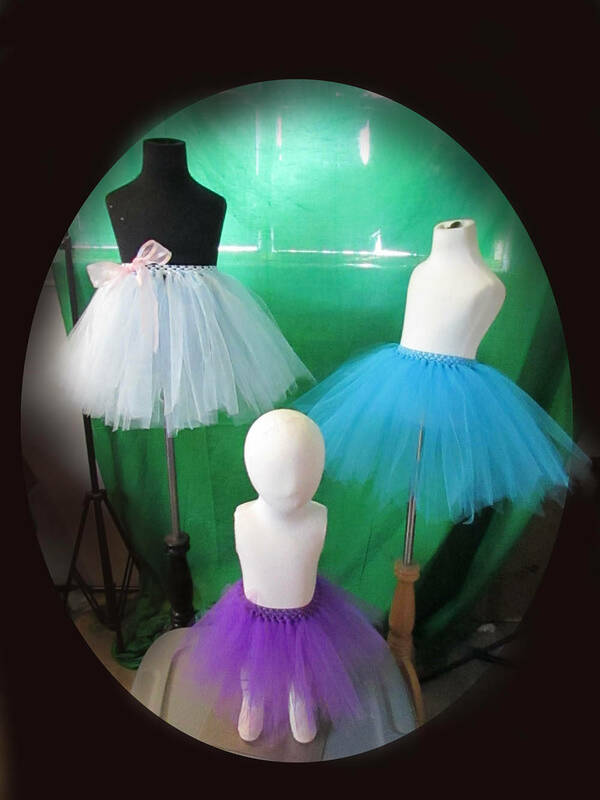 Refunds will only be accepted if damaged upon arrival with supporting damage claim for carrier; some exclusions apply; for more information on returns for handcrafted and custom items please see our Purchase terms.